This Wednesday, May 9, SHARK will be at the Minnesota Horse and Hunt Club (MHHC), in Prior Lake, MN, to protest and film a live pigeon and quail shoot. 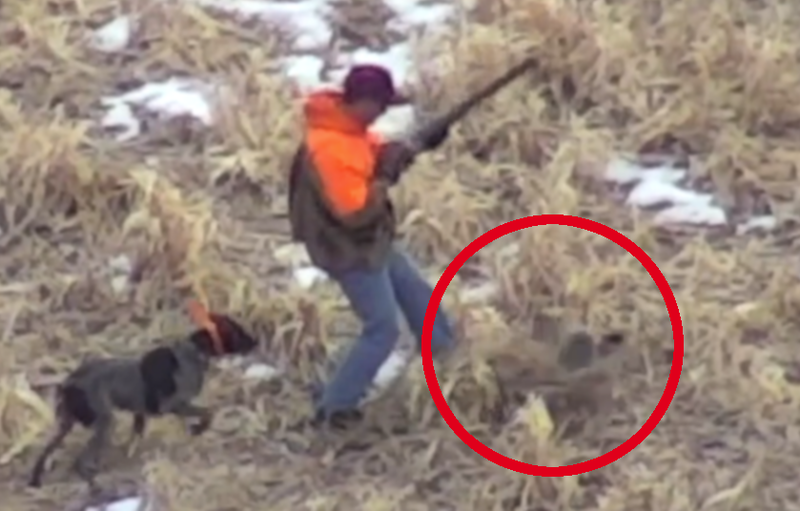 MHHC is a canned hunting club where tame birds are mercilessly slaughtered. The shoot is a fundraiser for a youth hunting club. It is disgraceful to slaughter tame animals for fun, and it only doubles that ignominy to teach children to do the same. Please join us for a non-violent protest to expose their violence and cruelty. This is your chance to speak out and have your voice heard! * Parking will be on the side of the road, in front of the hunt club. SHARK is releasing a new video on our highly successfully joint-campaign to document two rodeos last summer in Quebec, CA. It what has turned out to be the most comprehensive investigation ever conducted into rodeo cruelty, SHARK investigators and a Canadian veterinarian exposed that not only does rodeo pose potential and real threats to animal safety and health, but that rodeo also violates the laws of the province of Quebec. This was a monumental undertaking that required hundreds of hours of our investigators, and untold more hours for the Canadians who painstakingly reviewed our video and wrote the report on it.